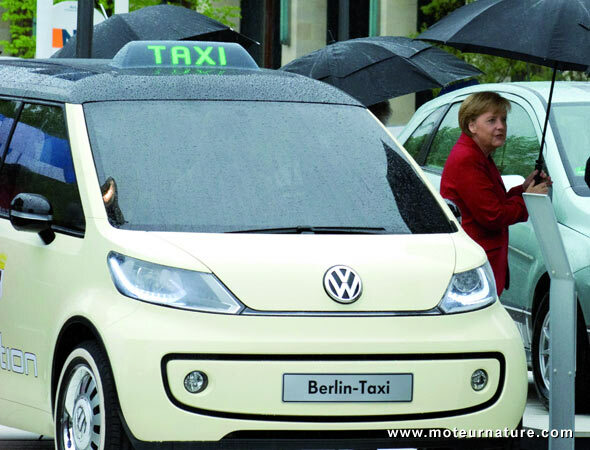 Germany has launched its “National Platform for Electric Mobility” during an electric mobility summit in Berlin. Leaders from the automotive industry, energy suppliers, and top scientists where there, under the guidance of german chancellor Angela Merkel. All german car manufacturers were attending, with Volkswagen clearly the leader. The largest german brand was showing an electric version of the Golf that was looking production-ready, and an original concept, never seen before, of an electric taxi. 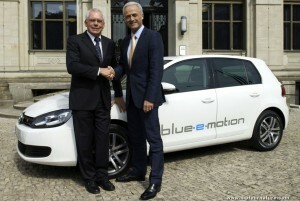 The Golf electric was the most promising, with the manufacturer’s planning it for 2013. 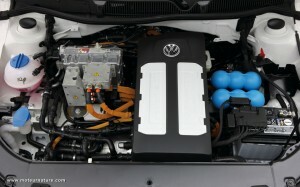 Called the Golf blue-e-motion, it has a 85-kw motor (115-hp), 200-lbs/ft of torque, with a 26.5-kWh battery. That should be good for 93-miles. Not much, but enough for many people. More annoying is that the trunk volume has been reduced because of the batteries that are below. It’s down to 237-liters. That wouldn’t be enough for a family vacation, but hey, you don’t drive cross-country in a car with such a limited range. The Golf is one only one of the different models that Volkwagen’s planning. There’s also the Up, the small car for the masses (a true Volkswagen!) that Volkswagen will launch next year. It will come as an electric in 2013. 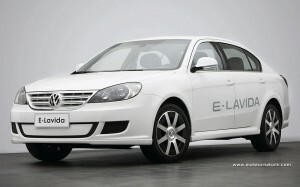 Next is the Lavida, one car that should be sold only on the chinese market. That makes 3-cars, and Volkswagen is already talking about an electric Jetta. That’s the joker in Volkswagen’s hands. Since the manufacturer works on platforms, it would be easy, if electric models are successful, to spread their drivetrain among the other cars that share the same platform. If the buyers are there, you can bet on a lot electric cars from Volkswagen in around 5 years. 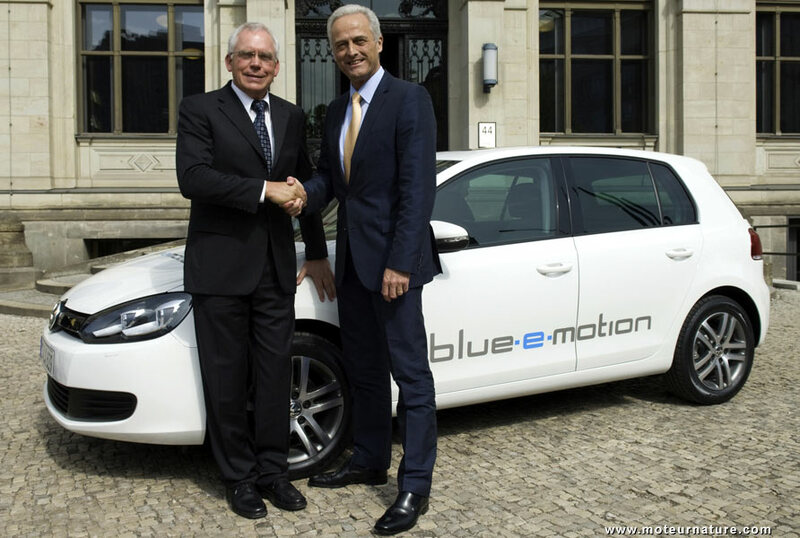 The german group is plaaning to be the world leader of electric cars in 2018, he will get full support from its government in achieving that goal.